Lakhimpur is also called as an administrative district of Assam. Lakhimpur RTO operates as per the guidelines of Motor Vehicle Act 1988. It performs lots of important functions related to road transportation. Furthermore, it is established to facilitate Vehicle owners and people who drive with required documents. In order to issue it, a certain process needs to be followed.Once that procedure is complete as per the instructions of Lakhimpur RTO individual can easily receive the required documents with ease. Lakhimpur has more than one office to carry its operations with ease. Some of the key activities it performs are as follows. As a beginner in driving, we just get learning license. This license is valid just for the period of 6 months. After its expiration date, we must get the valid driving license. After the learning license, it is mandatory to have a driving license. In order to get the driving license, we must schedule the appointment with Lakhimpur RTO. This is applicable if we are staying in Lakhimpur city. We can visit any office which is near to our residing place or as convenient. It's advisable to reach there at least 1 hour before the appointment to get the required briefing of the entire process. We must ensure to carry all the mandatory documents. Paperwork consists of 1 passport size photo, Birth Certificate, 10th class marksheet etc. Besides these essential documents we also need to go through their driving tests. Once our documents are verified and upon clearing the driving test we can get our driving license on the same day. At times it is couriered to our registered address as well. Driving License is issued for a limited period only. Ater its validity is over we must renew it. 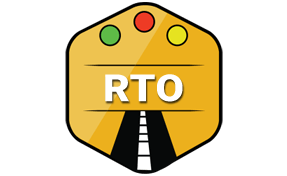 As soon as we purchase a new car it should be registered with RTO. If we shift our vehicle from another state to Lakhimpur than we must get NOC from its RTO. Lakhimpur RTO is responsible for checking vehicle eligibility to let it drive on the roads. Lakhimpur RTO is actively involved in the collection of the tax as per the Motor Vehicle Tax Act of 1963.